Award-winning and bestselling author Margaret Atwood publishes worldwide her highly anticipated new novel – The Testaments – a sequel to her most celebrated work, The Handmaid’s Tale. In a unique live event on this momentous date, cinema audiences will be treated to an evening in conversation with Atwood about the release of the new book, her long and distinguished career and why she has returned to her seminal story of The Handmaid’s Tale, 34 years after she wrote the original. The exclusive cinema event, broadcasting via satellite, will include exclusive readings by several high-profile actors from the new book and filmed documentary content from throughout Atwood’s life. 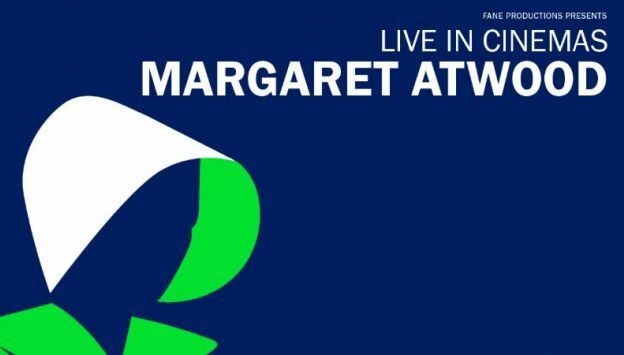 Filmed live from the stage of London’s National Theatre, Atwood will also answer questions from audiences in this rare appearance and intimate evening.